Is Inbound Just an Empty Buzzword? Inbound marketing: You’ve heard about it, but can it really help you grow your business? Hey, we’re all sick of marketing fads that are all buzz and no substance. You don’t have the time — or the money — to waste on another one. What you need, right now, is some way to attract new prospects, differentiate yourself from the competition, and grow your business. You’ve heard about inbound marketing. Could it be the answer? Skepticism is healthy. You wouldn’t have gotten as far as you have in business without making wise decisions based on cold hard facts. So before you spend another dime or another minute on marketing tactics you don’t believe in, let us help you separate the inbound marketing facts from the inbound marketing fiction. Why inbound marketing can rightly be called a science — and how your business can benefit from the scientific approach to marketing. If you really need to invest in expensive software and a slick marketing agency to do inbound marketing. Whether your business is a good fit for inbound marketing or whether you’ll have your work cut out for you. How to get started with inbound marketing, making sure you’re handling this scientific approach to marketing scientifically. 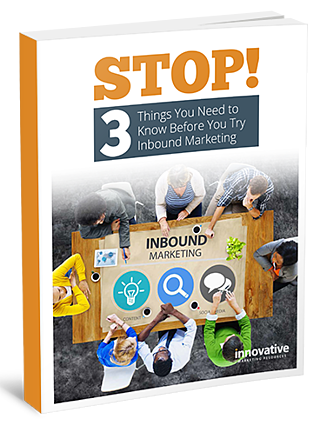 Fill out the form on this page to discover the eye-opening truths about inbound marketing.